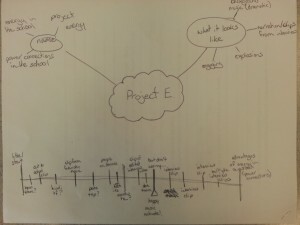 A partner and I chose to do our power connections project on our school. 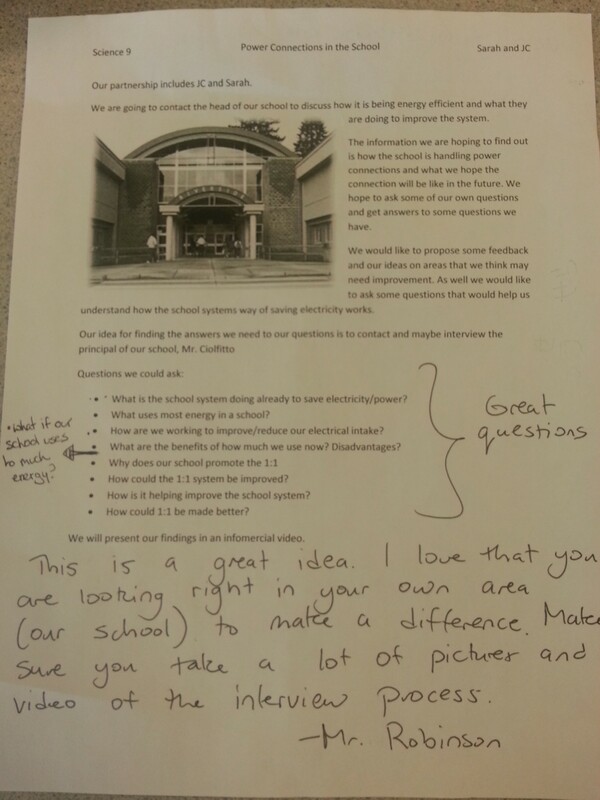 We chose to look into how our school is being energy efficient and find some answers to questions we may have about it. The first ting we did was write up a proposal with some questions we have and things we would like to find out about our subject. What is the school doing already to save electricity/energy? What uses the most energy in our school? How are we working to improve the intake/consumption of electricity? Are there any perks to the amount of electricity we use? disadvantages? Why does our school promote the 1:1 system? Could the 1:1 system be improved in any way? 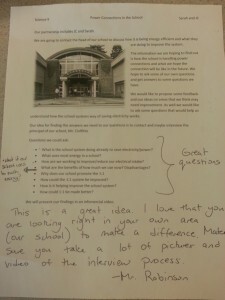 How is the 1:1 system improving our school? Is there a possibility of our school being to energy efficient? We then put our heads together to decide who would be doing what part of our project and some general guidelines and ideas. 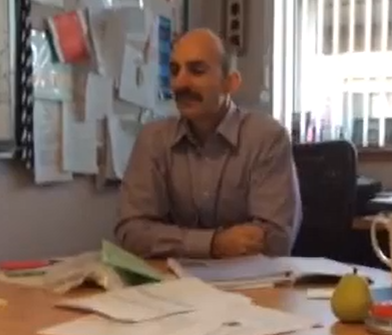 After our interview we decided we wanted to do a video representation of our meeting with Mr. Ciolfitto. 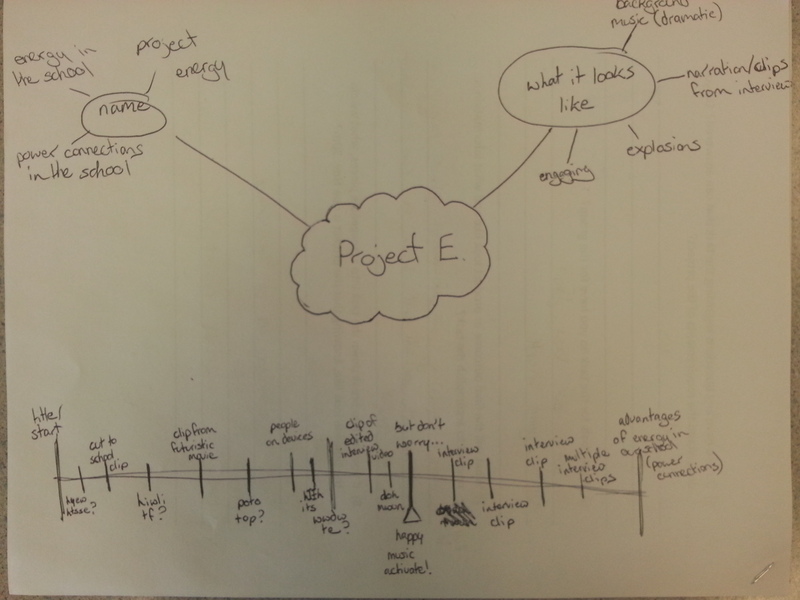 We drew out a mind map and timeline of how we wanted our video to look and used that as our outline for our video. Thanks for dropping by for the interview Sarah! I like that you and Jenna are looking at what we can do right in our school to be energy efficient. That’s awesome. Maybe you can join the Environment Club with Ms. Yorke and Ms. Mireau! It was a pleasure speaking with you both. It was a pleasure having you for the interview. We couldn’t have done our project without you so thank you ever so much! Thank you, Mr. Ciolfitto, for participating in our Power Connections Connections-based Learning. I really appreciate you being able to answer questions from students regarding power conservation at school. I really like your idea of using stationary bikes to power our devices and I look forward to the day that innovations like that are commonplace in our schools. Thanks for showing your Connections-based Learning with us. I really appreciated how you were able to embed your video into your blog. Thanks for including the audio as well. What a great idea to make a connection right here in the school to learn about electricity. It is ideas like this that lead to lasting positive change.